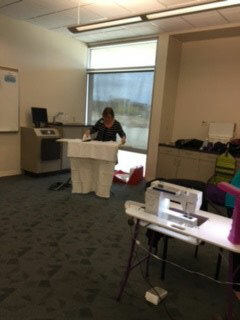 We had a great turn out for our April guild meeting. 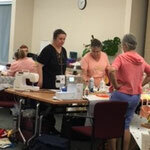 I don’t remember the numbers but we had a fair amount of visitors as well as members. 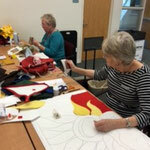 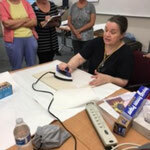 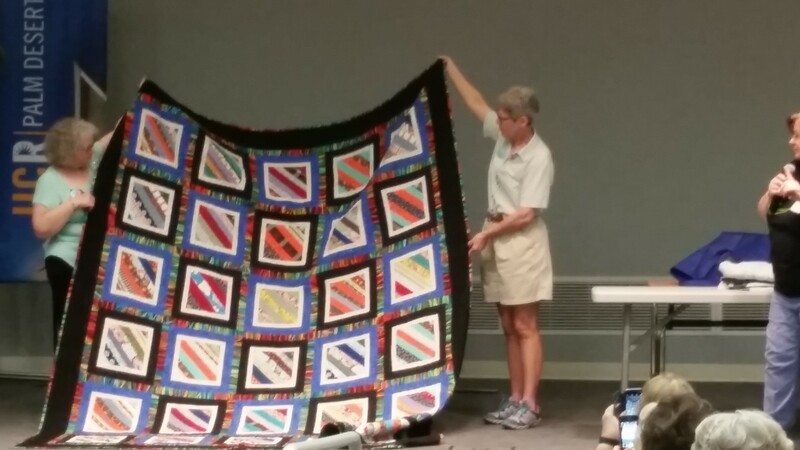 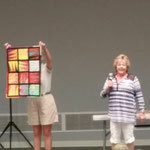 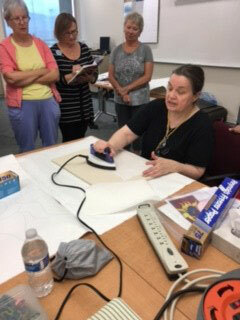 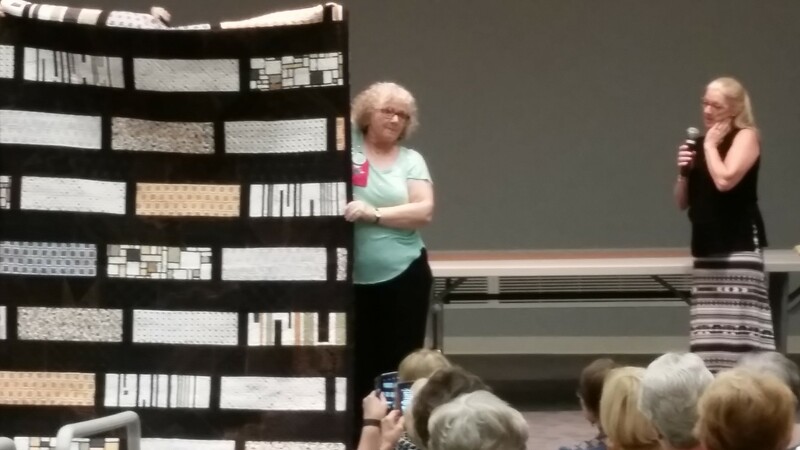 We enjoyed a visit from Sharon Schamber, Master Quilter. 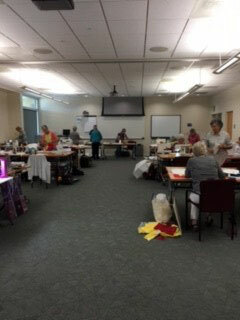 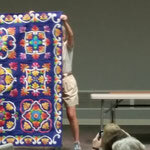 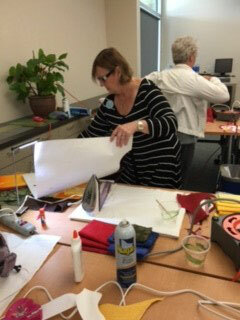 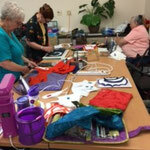 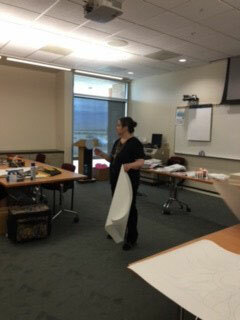 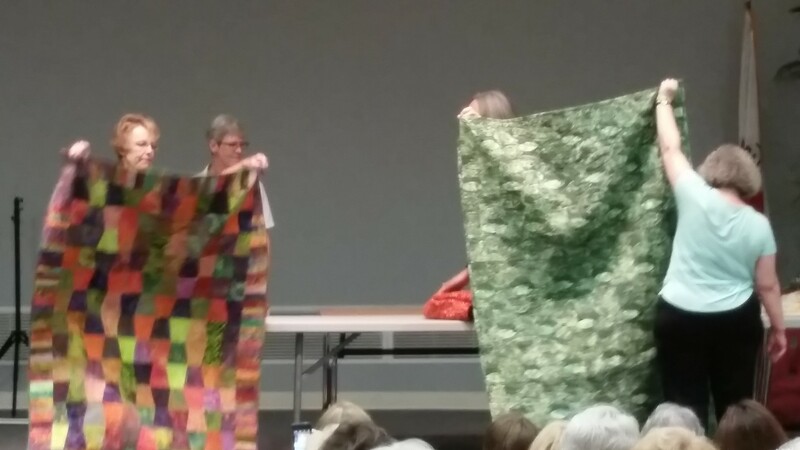 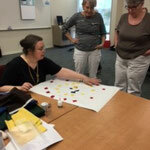 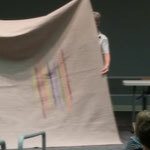 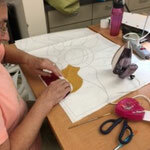 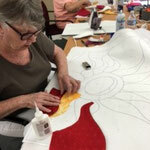 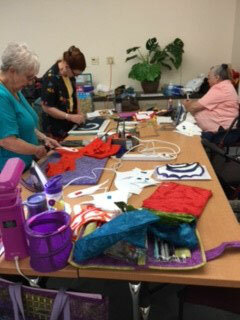 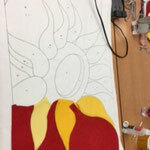 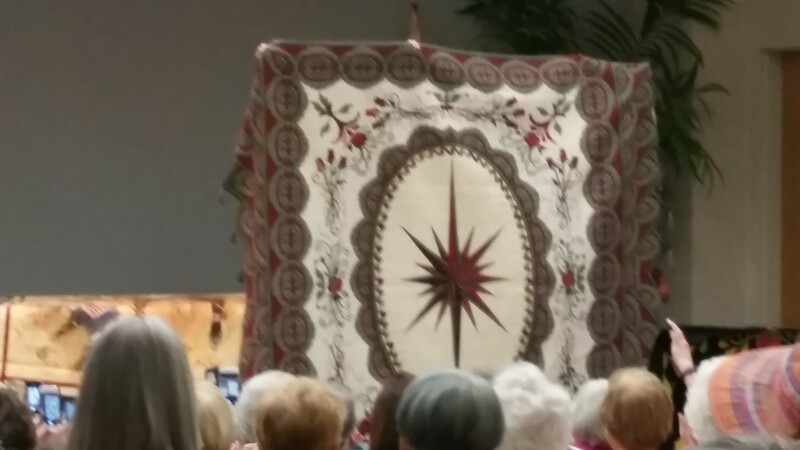 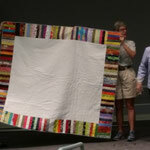 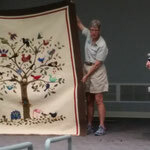 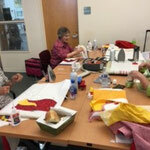 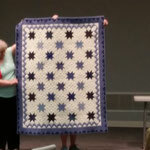 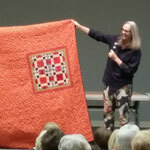 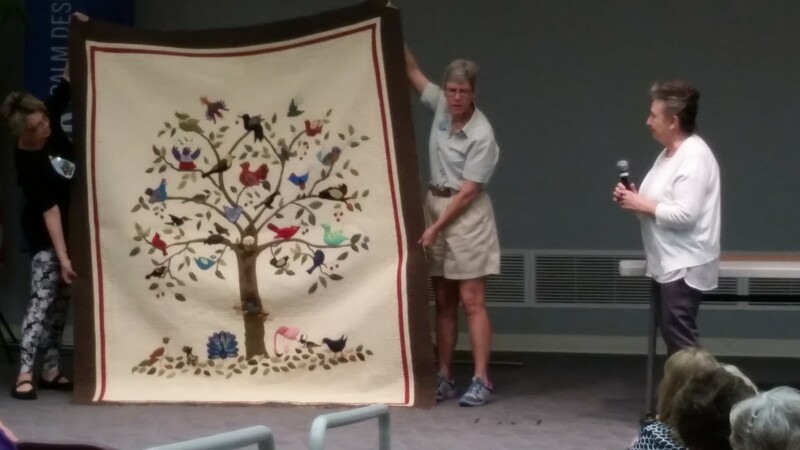 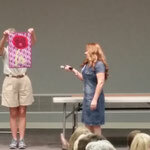 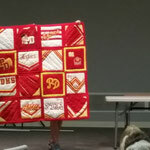 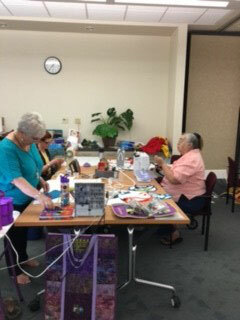 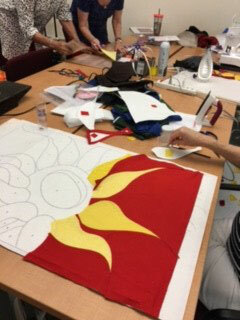 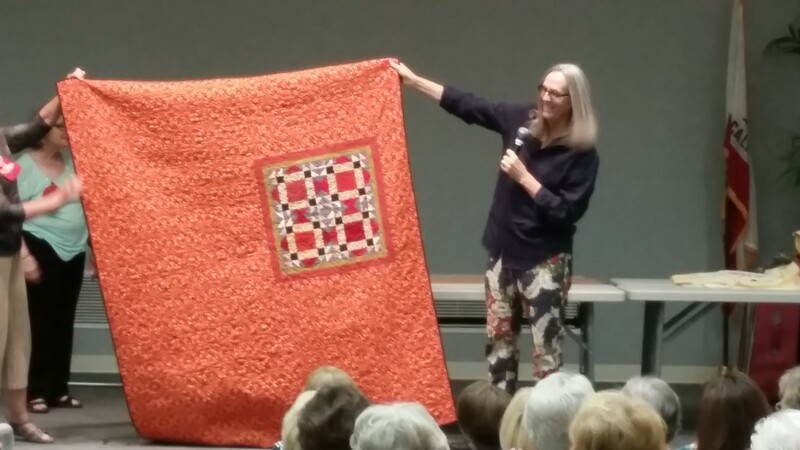 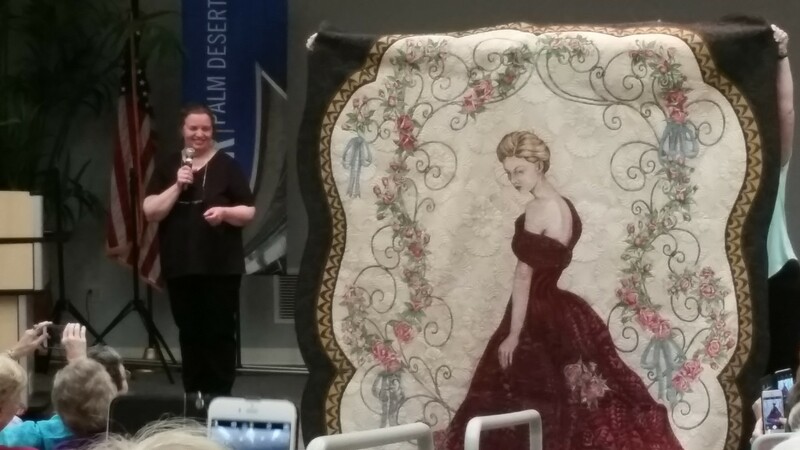 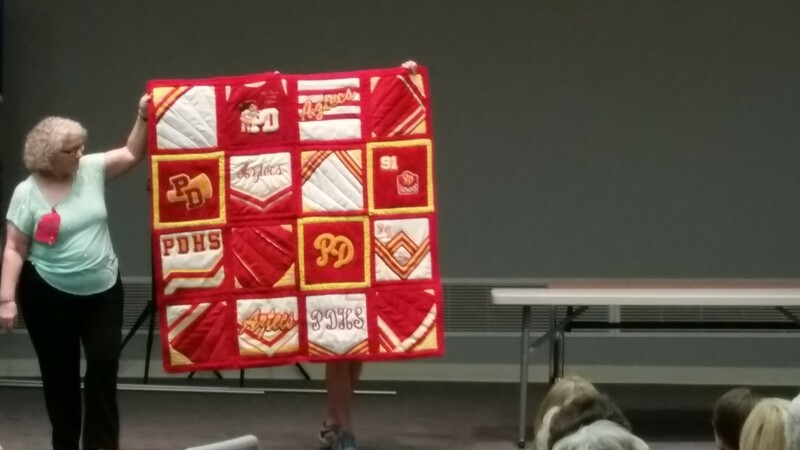 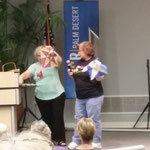 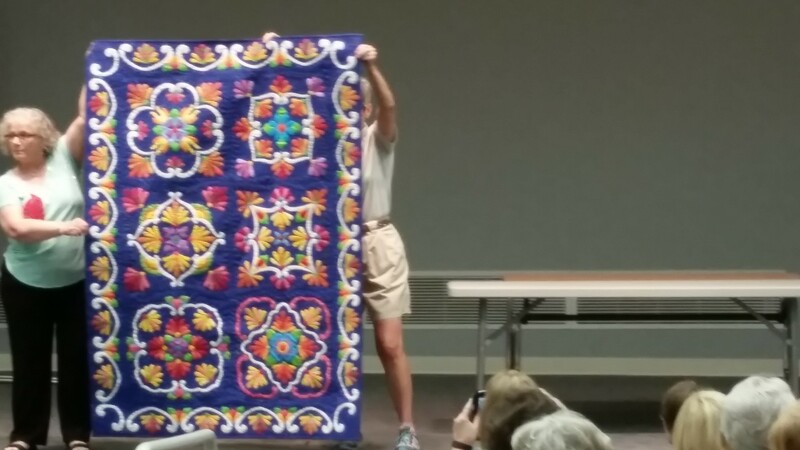 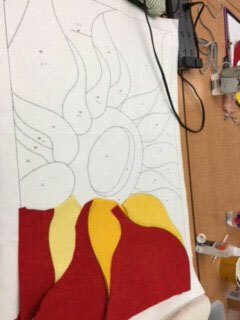 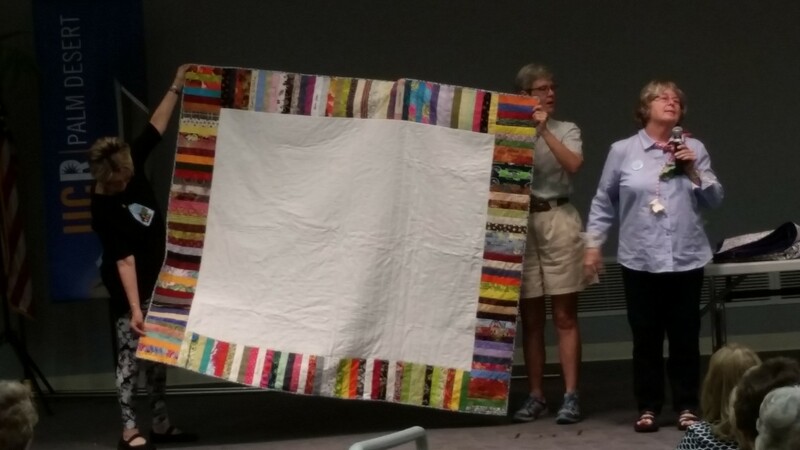 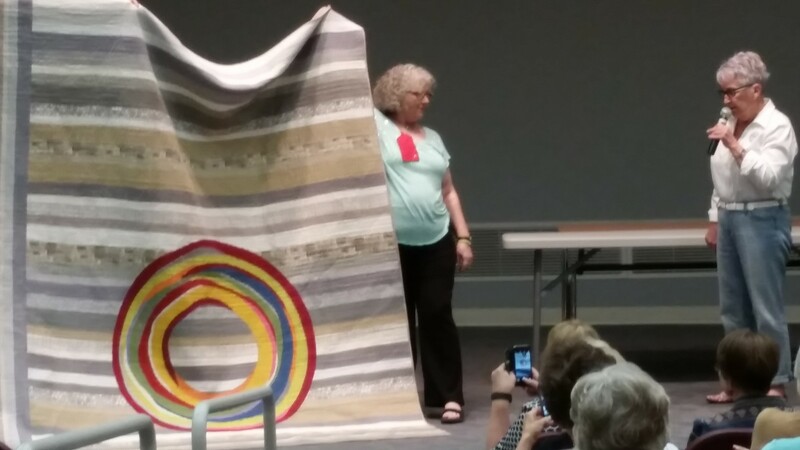 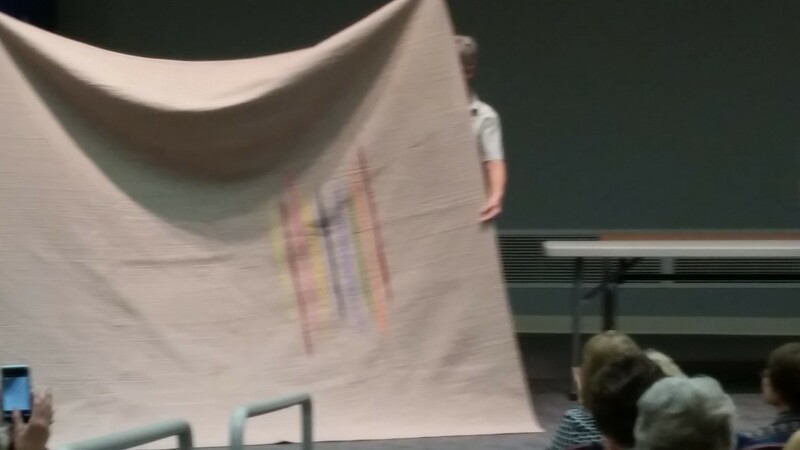 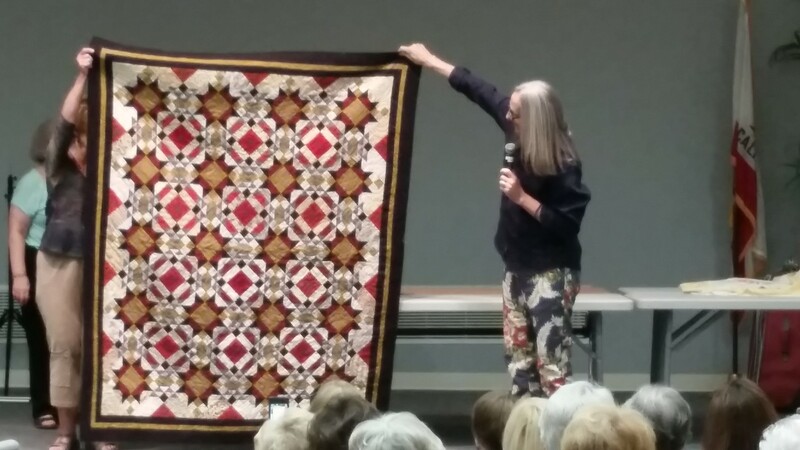 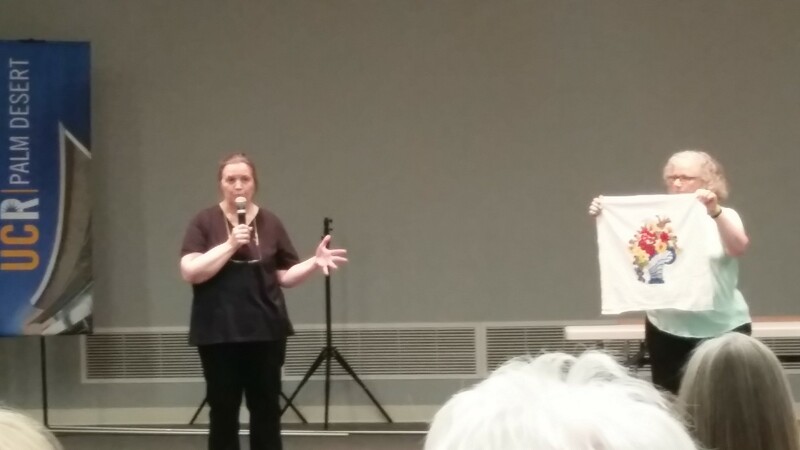 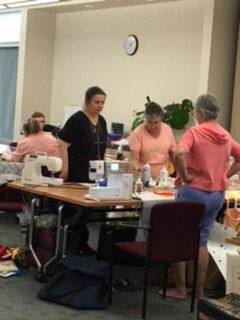 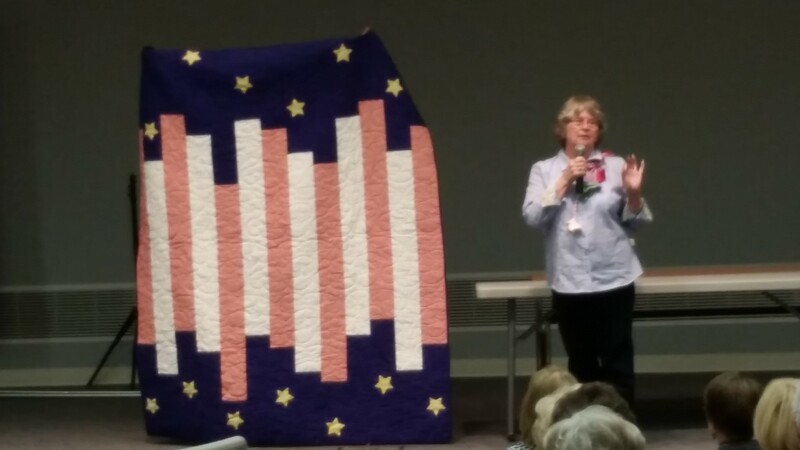 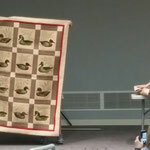 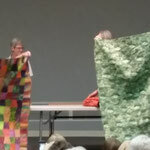 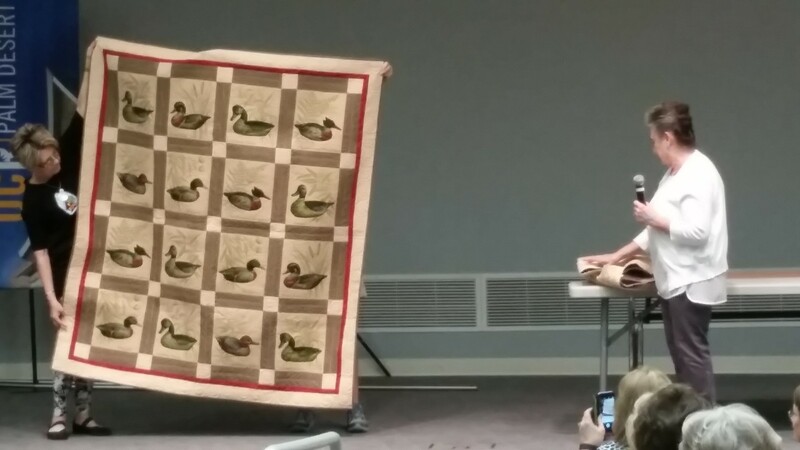 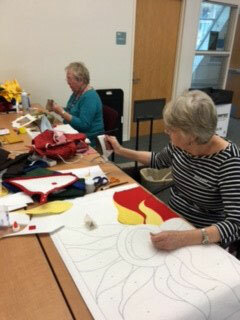 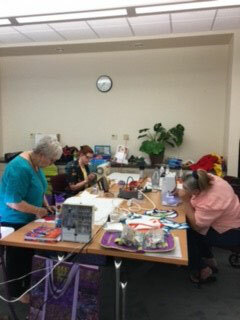 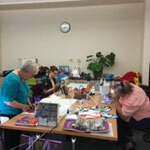 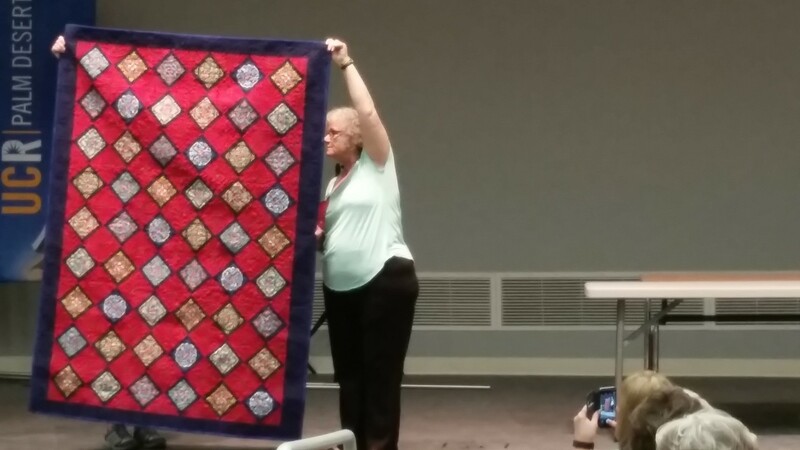 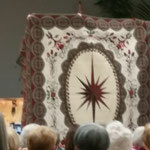 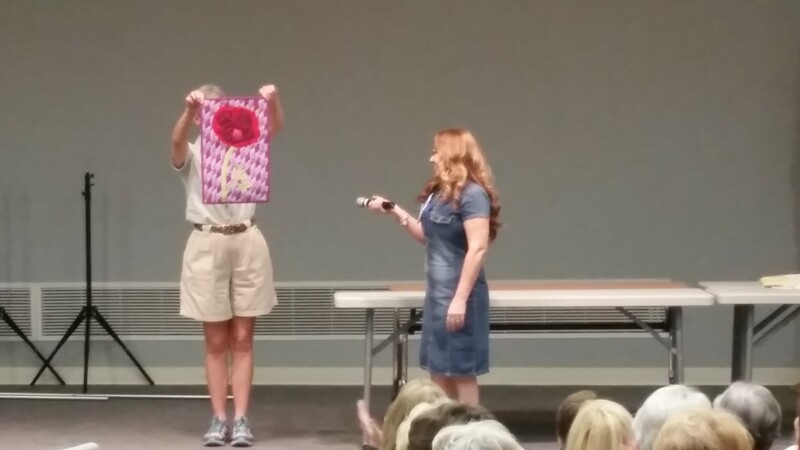 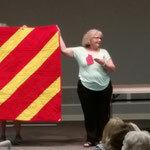 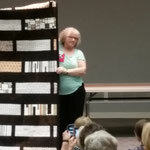 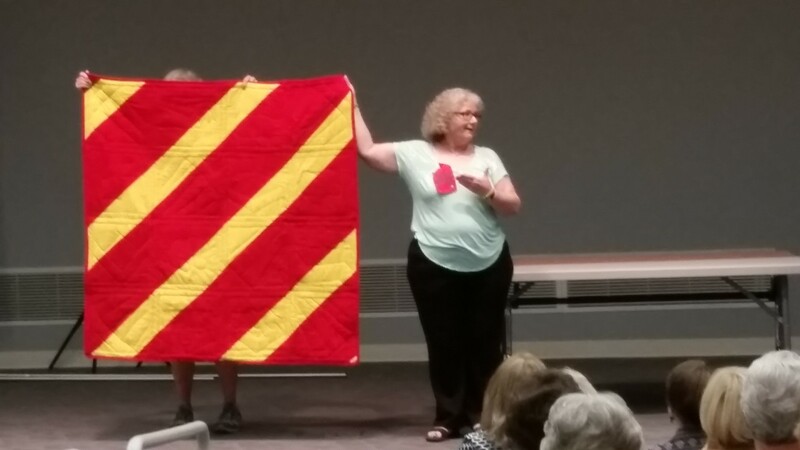 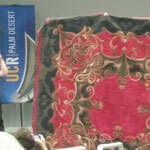 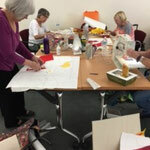 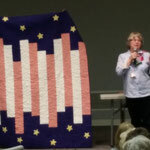 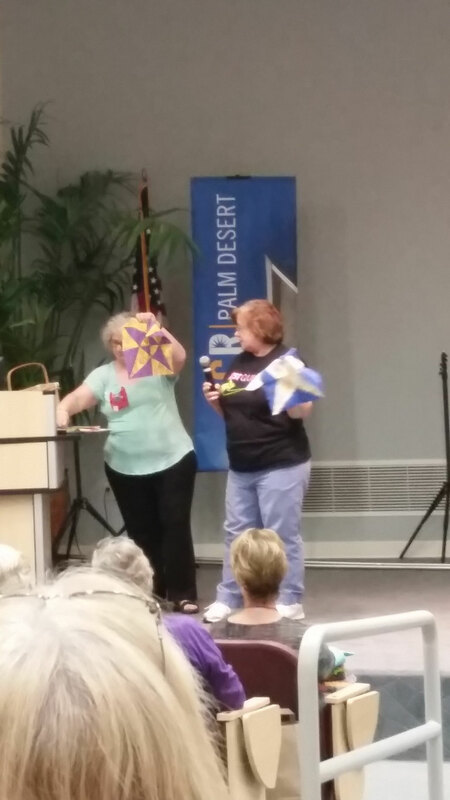 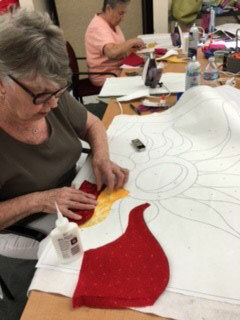 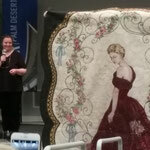 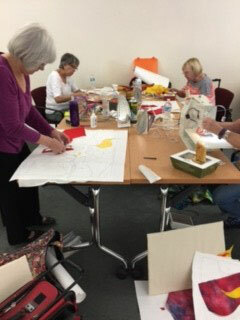 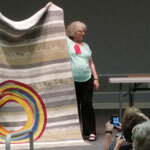 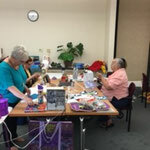 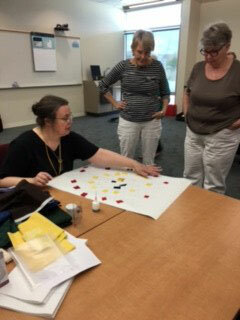 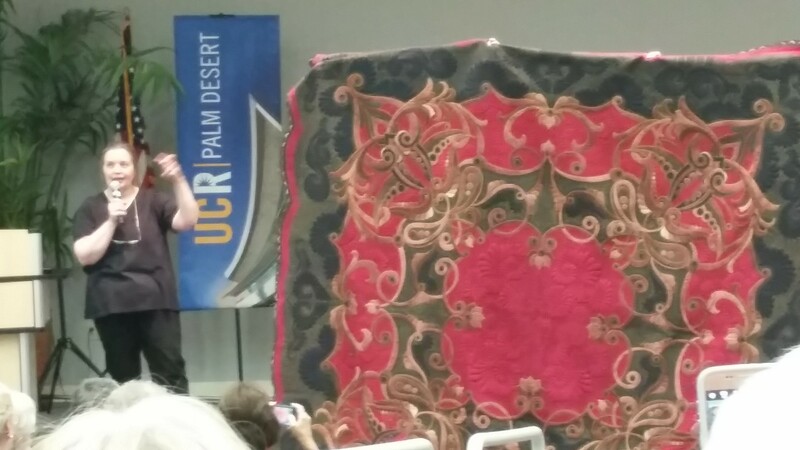 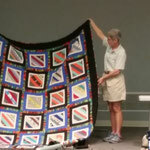 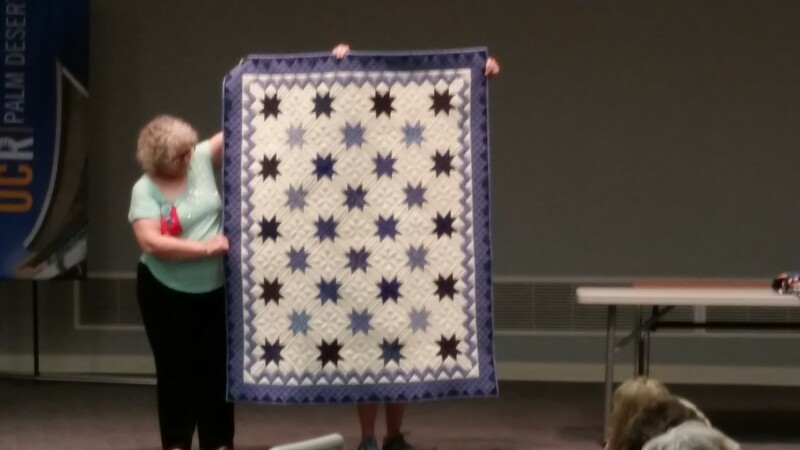 She shared her trunk show with us and we were all in awe of her applique and quilting skills. 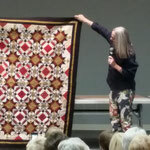 She is very talented and generous in sharing her knowledge to the rest of us. 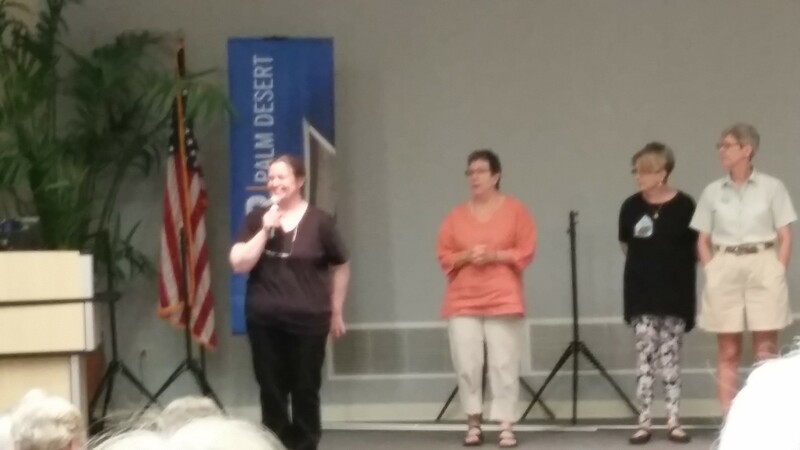 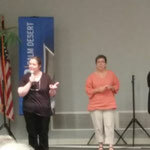 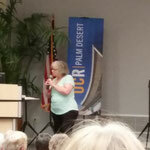 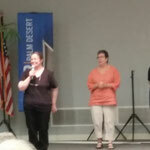 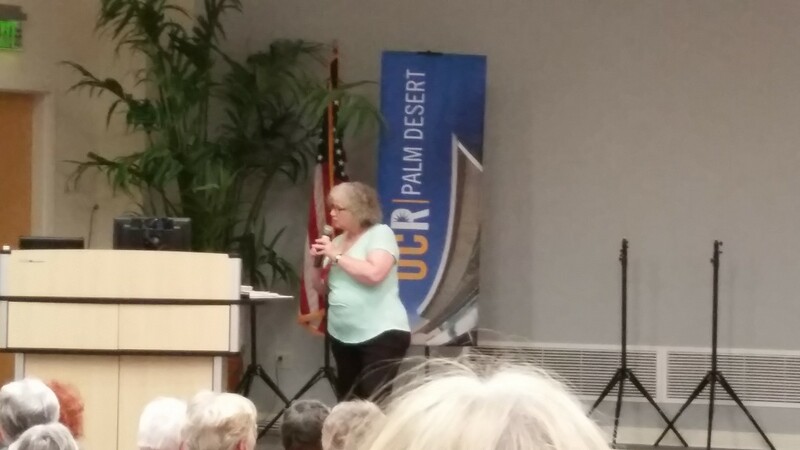 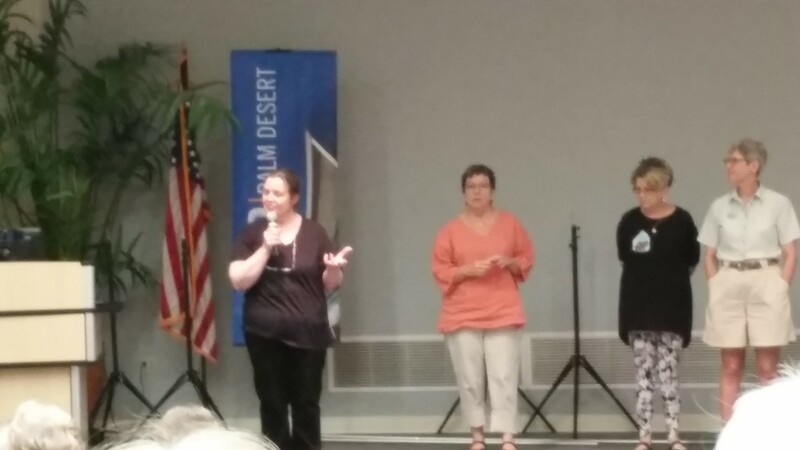 Some pictures from the meeting Saturday. 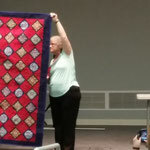 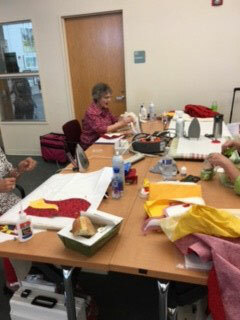 She had a class on Sunday where she taught Piec-lique: her curved piecing technique. 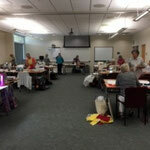 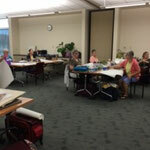 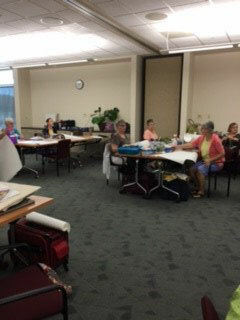 I talked to several that were fortunate to go to the class and they all agreed it was well worth it. 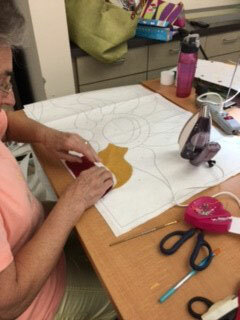 She is very generous with her time and skills. 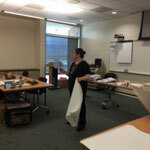 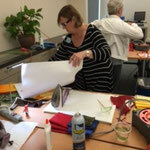 She showed how to do it then roamed around helping all the students individually if needed. 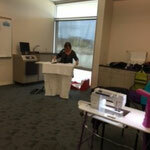 We hope Sharon will visit again and teach another class. 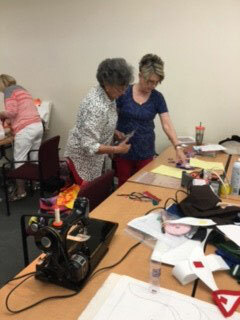 Some pictures from the class on Sunday. 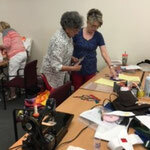 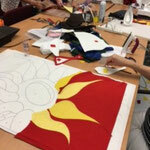 Check out Sharon’s website for lots of video tutorials and supplies. 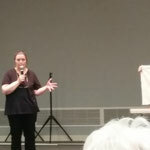 And also visit her daughter's website for books, and supplies. 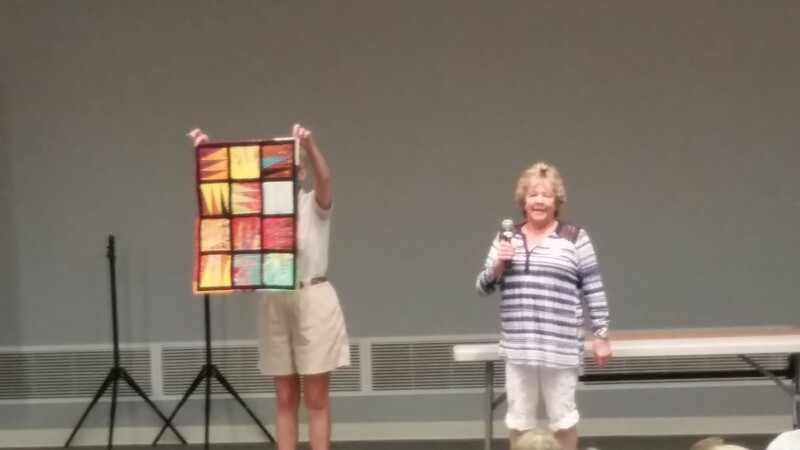 I hope you have enjoyed this glimpse into our weekend with Sharon. 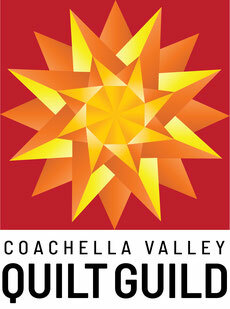 See you next month.